See this link for information on Current Classes. 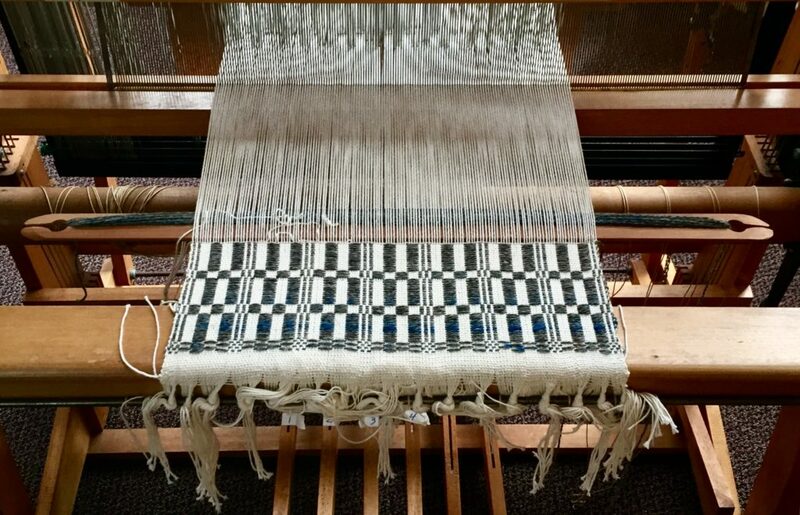 Class Description: In this class, students will learn basic weaving techniques using both stick and boat shuttles on pre-warped looms. They will also learn the parts of a loom and how they work, weaving language, how to read weaving drafts, wind a bobbin and stick shuttle, throw a shuttle, maintain an even weaving beat, keep neat selvedges and finish their completed projects. Students will take home a minimum of 4 completed handwoven pieces. Experienced students are welcome too! 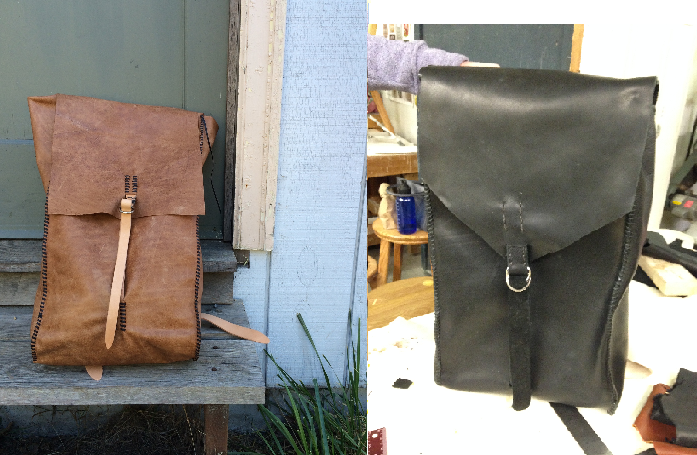 Make a Leather Backpack: Using vegetable tanned cow leather, make a back pack that fits your back, made for everyday use and big enough for an overnight hike. It will be strong and durable and if looked after will last indefinitely. Make Leather Shoes or Boots: Come join master crafter Peter Yenken to craft your own leather shoe or boot that fits your foot perfectly! Imagine how amazing it would feel to walk in a hand-crafted shoe made exactly for you, by you! 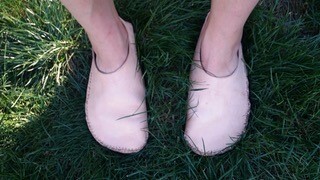 In this class you will make a pair of Moccasin style leather shoes. As seen in the picture. Shoes are one of the most important things to learn to make. Our feet are so complex and individually shaped, thus our shoes should also be individually shaped to exactly fit the feet. Only handmade shoes are exact replicas of our feet and something we use every day. How we make contact with the ground is so important to our well-being. The foot evolved to act as the foundation of our ability to balance as a shock absorber propulsion device,to be able to sustain enormous amounts of pressure, to be incredibly flexible and resilient. With modern shoes, the function of the foot atrophies thus causing loss of balance, mobility and shock absorption. Thus other parts of the body are asked to do the job of the foot, which causes structural problems further up the body, i.e knee, hip or back problems. Nobody wants that! Class Description: Bows have been used in many ways including: survival (both food gathering and protection), sport and meditation, and spiritual practice (Zen meditation). This class is a continuation of these ancient practices. You will learn the skills to build a long bow, how to choose the wood, the tools needed and their use, how to finish the wood, and make strings. By Sunday, the bow will be ready to shoot. You will be taught the “instinctive” shooting method. You will leave the class with a finished bow, one arrow, and enough understanding to be able to build a bow on your own. Please bring $30 at the start of class to pay the instructor for materials. 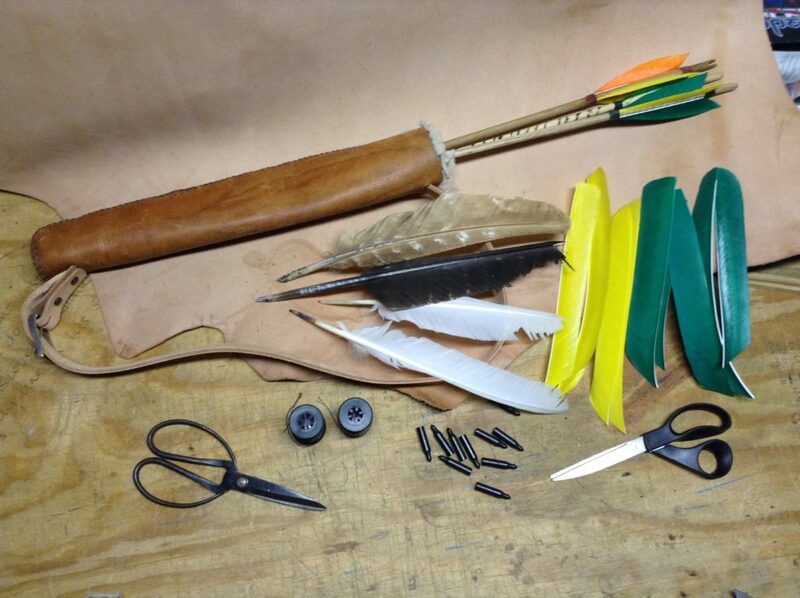 Class Description: In this class, students will make arrows in the traditional Welsh/British method using hand cut feathers which are wrapped onto the shaft rather than glued and field or target points. Different shafting material, feathers (from bought to found or foraged), and points will be discussed. Students can make up to 6 arrows in the day. Skill level: The workshop is designed for fiddlers, banjos and guitars, but other instruments that can play along are welcome too. Students with some ear-training will be most successful. Class Description: This is a band-lab style workshop. Students will assemble at the start and the band will do a short presentation. Then students will split into groups according their instruments (fiddles, banjos and guitars) for individual hands-on workshops. Each group will learn the same tune(s). Then the instruments reunite and play the song(s) as a group. Class Description: For those of you that have either never done embroidery (and would like to try it) OR would like a “refresher course”, this is the class for you! We will talk about threads, needles, fabrics, and designs. 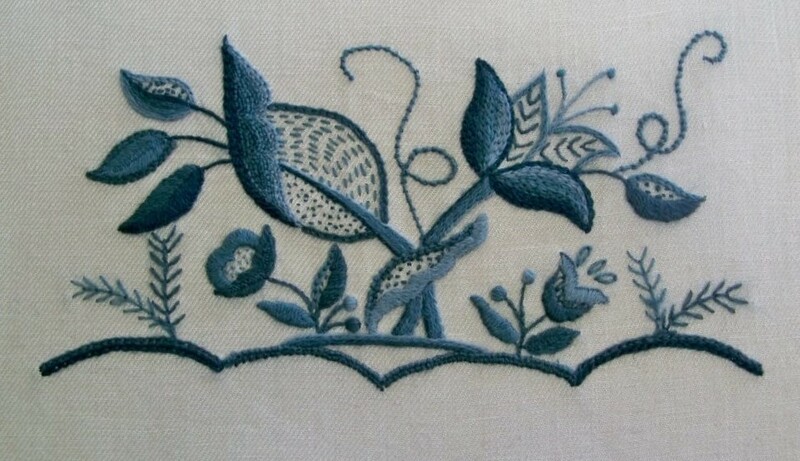 We will make a sampler of basic stitches for surface embroidery. Once you are comfortable with this group of stitches, you can do simple things – or complicated things – and anything in between! The stitches we will practice and put onto our sampler include a running stitch, double running stitch, stem (or outline) stitch, backstitch, blanket stitch, French knot, chain stitch, and detached chain stitch. With time (and group interest) we could go into further versions of the previously mentioned stitches. I’m there to teach and am happy to follow your interest! The first hour of this class is instruction time for beginners, the second hour is uninstructed “open studio” time to work on your project in a supportive environment. We are calling the second hour the “Embroidery Circle”. Students registered for Beginning Embroidery are automatically enrolled in the Embroidery Circle (no need to register separately if you are enrolled in the beginning class). Experienced embroiderers are invited to join us for the second hour Embroidery Circle (11-noon) to work in a supportive group on independent projects. Those joining just for the Circle, see the separate registration information under “Embroidery Circle”. Let’s grow a community of embroiderers! Please note: this is not a cross-stitch class. Students bring $5 to first day of class for embroidery materials which include fabric, a variety of threads, needles, and written instructions. This will be paid to the instructor on the first day of class. Instructor will also bring good quality hoops available for purchase if needed for $8. Class Description: This is a time for experienced embroiderers to work on their own independent projects in a community of other embroiderers. This is uninstructed time with access to knowledgeable support. 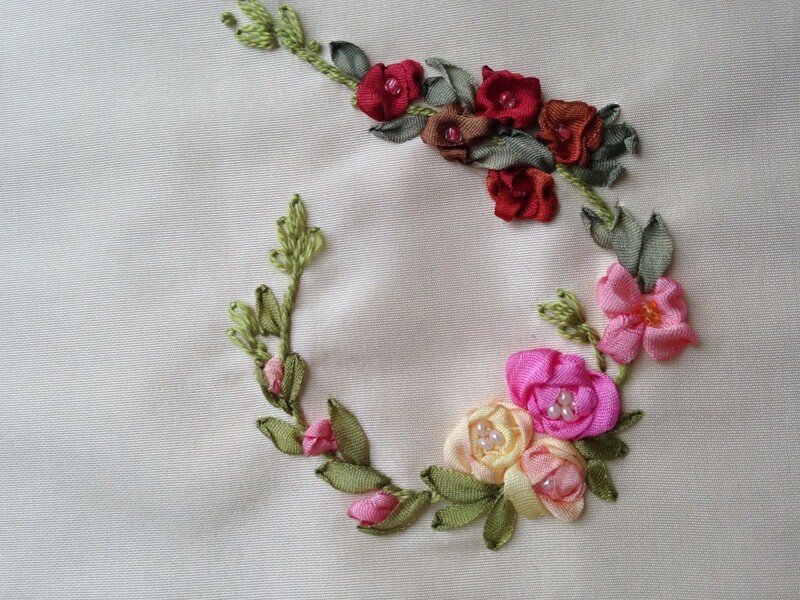 This open embroidery circle follows the beginning class and is open to all learning levels. Let’s grow a community of embroiderers! Instructor will have good quality hoops available for purchase if needed for $8. Materials provided by student: Students may bring their own hand planes for evaluation. Arbutus will have enough for each student as well. Class Description: For those of you who have been curious about or have struggled with the use of hand planes in your woodworking, this is the course for you. In “Taming The Handplane”, woodworker Terry Liberty will cover the basics of plane construction, function and technique, followed by demonstrations of their use. After that there will be plenty of time for coached, hands-on practice with the school’s sharp, well tuned planes. Bench planes and block planes will be the primary focus with some discussion and brief practice using other types of planes. 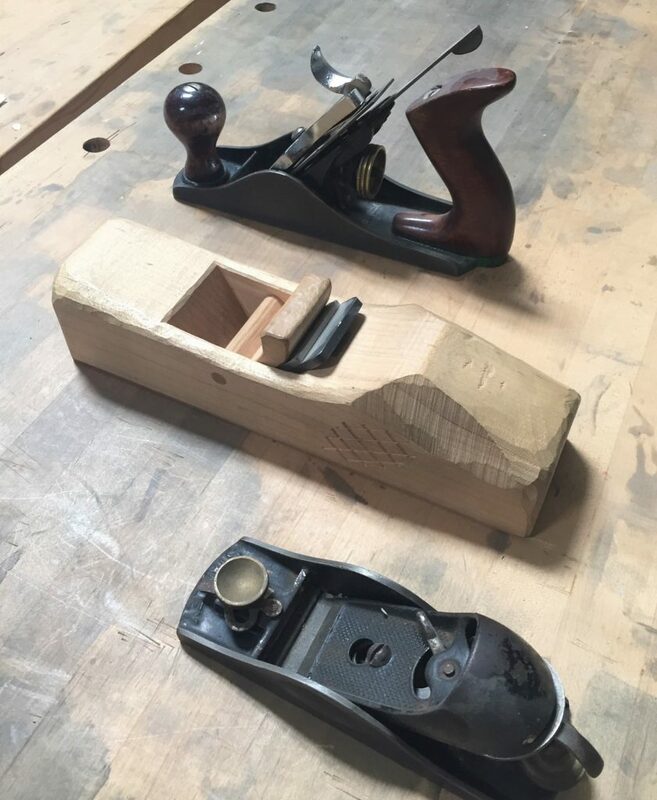 Terry’s objective is to demystify these often misunderstood tools and improve comfort and familiarity with the use, setup and troubleshooting of hand planes so the student is ready to use a plane when the task requires it. Students may bring their own tools for discussion although we prefer you use the school’s planes during the class in order to make the most of our time together. Class Description: Itajime Shibori is the Japanese form of folding, binding and dyeing fabric to create a repeating pattern. In this class we will explore the fold and clamp method creating several samples using silk, which will then be dyed in an acid dye bath. Each student will take home multiple swatches and one finished scarf which they have made. Class Description: Among the rich variety of singing traditions from around the world, there are many traditions of harmony singing. From ballads of love and loss to field and work songs, devotional songs, songs that glorify local heroes or particular villages, and songs that are meant to dance to–every kind of human experience has been explored in harmony singing. Musically, these traditions can be rhythmic or free, spare or densely harmonized, dissonant or hymnal. This class will explore harmony singing traditions from several parts of the world. Depending on the vocal composition of the participating singers, we may sing songs from Croatia, South Africa, the former Soviet republic of Georgia, early New England, Hungary, and Bulgaria. I will provide written music, but I teach singers by ear. Come ready to sing something new. Materials Provided by Student: Apron and towel. Students may elect to buy specialty decorative materials like gold luster (not required). Class Description: Since the beginning of human culture people have formed clay to create functional and sculptural objects. 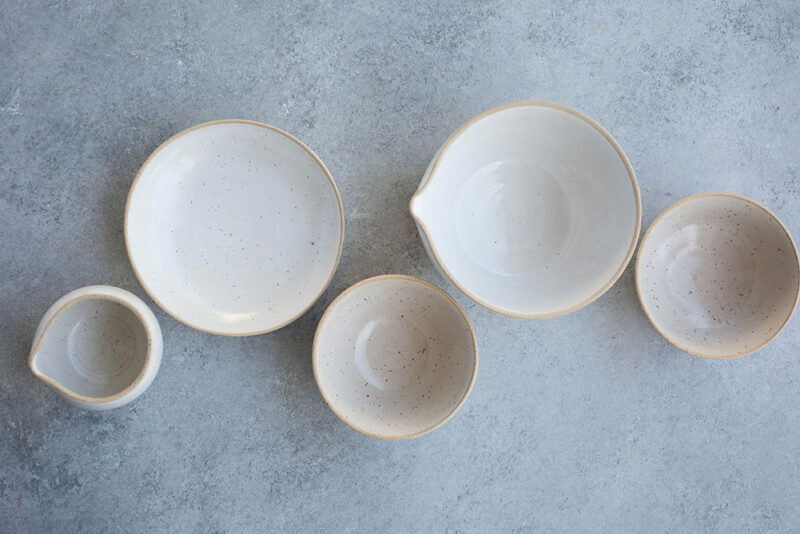 From water storage to teapots, fermentation weights to decorative housewares, this class will introduce students to the fundamentals of hand built ceramics, allowing them to create objects for decoration or use. Students will also learn decorative techniques using colored slips and underglazes. Materials provided by student: Students are encouraged to bring their own tuned and sharpened handtools, specifically: chisels, mallets and handplanes. If you do not have tools, the school has some available to share. Class Description: There is something deeply satisfying to most of us about craftsman-created things that are made from wood. Whether they be as modest as a serving spoon carved from Maple or as elegant as a Queen Anne table fashioned from Mahogany, the delight we feel in them is tangible and grows immeasurably when the spoon or the table is something we have created ourselves with our own hands. This comprehensive course will provide the novice or those with only modest experience an opportunity to begin practicing the skills that generations of artisan woodworkers have employed in order to make beautiful and useful things. From instruction in sharpening and hand tool set-up through project conceptualization and planning, timber selection, wood milling, joinery and fabrication, and finally to the application of a variety of wood finishes, the course will equip you with both the confidence and the fundamental skills necessary to begin shaping timber to a handsome purpose. Completing the project on schedule will require either working from home or in the open studio time. If you do not have tools and workspace at home to work on your project, we strongly recommend taking advantage of the open studio option on Wed evenings 6-9pm. The fee for studio time is included for current students. Class Description: New areas of Felt-making exploration have resulted in the creation of gorgeous material that drapes and flows. No longer is a feltmaker limited to yardage that might be more appropriate for Arctic adventures. As a participant in this workshop you will be transforming wispy gossamer fleece into durable non-woven material. In the process you will learn about color mixing and several methods for making yardage. Inclusions of alternate fibers will also be covered. You and a partner will be designing and creating a piece of about 2 yards length. Additionally you will make several samples of felt laminate fabric using a variety of underlayments—cotton gauze, yarn and silk. Class Description: Do you want to help galvanize and inspire your community through music? Do you just feel like belting out some good old songs? 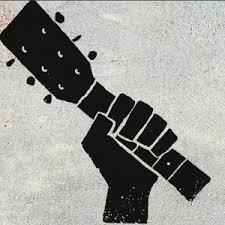 Do you wish you had more songs of protest in your hip pocket to use when needed? Join the members of Yodelady (Monica Peabody, Emily Teachout, and Jen Witherspoon) for a song learning session focused on material covering various topics of resistence and struggle. 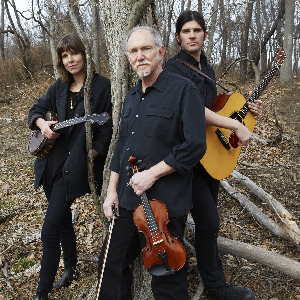 We’ll draw from the folk and old time repertoires of Woody Guthrie, Hazel Dickens and others. No need to read music. Lyrics and chords will be provided. Bring any acoustic stringed instrument you know how to play basic chords on, or just bring your voices. Bomaki Shibori is a Japanese form of binding and dyeing fabric on a pipe to create patterning and possibly texture. In this class we will explore variations of this method creating several samples which will then be dyed. Each student will make several items to take home. At least one large sample or finished scarf will be an intriguing pleated texture when finished. Don’t be intimidated! This is a clever method which creates a result that looks much more tedious than it actually is. Class Description: It doesn’t get any more local than your own front yard! Fresh, highly nutritious, local and organic food is abundant and free for the taking! This class brings foraging right to your front door, making it easy, accessible, and fun for everyone — even in the middle of the city or suburbia. Hands on experience cooking and eating fabulous, healthy dishes made with yard weeds. Materials provided by student: Students are required to provide their own violin and bow, in good playing condition. Instruments must be looked at by a professional Luthier, or the instructor, prior to first day of class. R.L. Violin Shop is offering a special 6 week rental arrangement for students who are officially registered in this class. 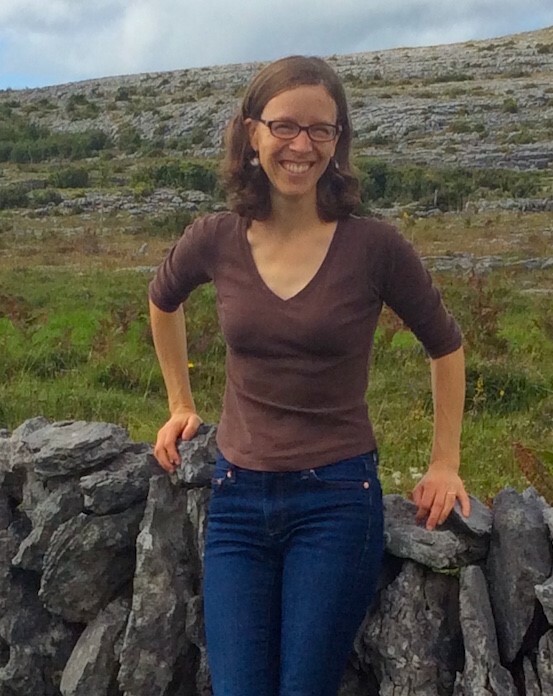 Class Description: In this class, students will learn fiddle tunes, dances, songs and stories, from many varying genres, from all across the globe. No previous violin experience is required. Students will be taught the basics of how to play the violin, complete with ergonomic education. Fiddle tab and/or musical notation and sound files will be provided. Some music theory will be taught. Students are required to provide their own violin and bow, in good playing condition. Instruments must be looked at and approved by a professional Luthier, or the instructor, prior to the first day of class. R.L. Violin Shop is offering a special 6 week rental arrangement for students who are officially registered in this class. A camera or sound and/or video recording device may be used to record any part of the classes, in order to assist the student with home practice. These recordings are not allowed to be shared with anyone else, or be put on social media without prior knowledge and consent of the instructor. Cost: $96, plus $4 to pay instructor on first day of class. 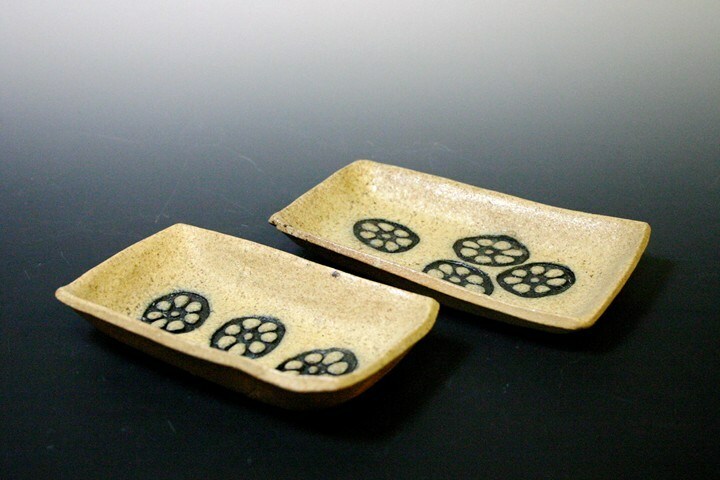 In a short information lecture, students will be introduced to the basics of electric kiln firing. Kiln anatomy, use of manual and computer controls, the ramp hold feature, loading and unloading, and basic kiln maintenance will be presented. There will be time for questions afterward. This class is recommended for kiln beginners. Whether you just bought a new computerized kiln or you’ve had an old manual kiln in the garage for the last 10 years, this lecture is designed to get you going! Class Description: Stylish and seamless, the handmade felt hat – In this one day workshop you will learn the fundamentals of making wool fleece into felt, by making a cloche –type hat. Artist wishing to learn the techniques might ask themselves– Can I wear it? Yes. Can I appreciate it as a hollow form, with color, texture, and concept? Absolutely. Your imagination is the only limit. 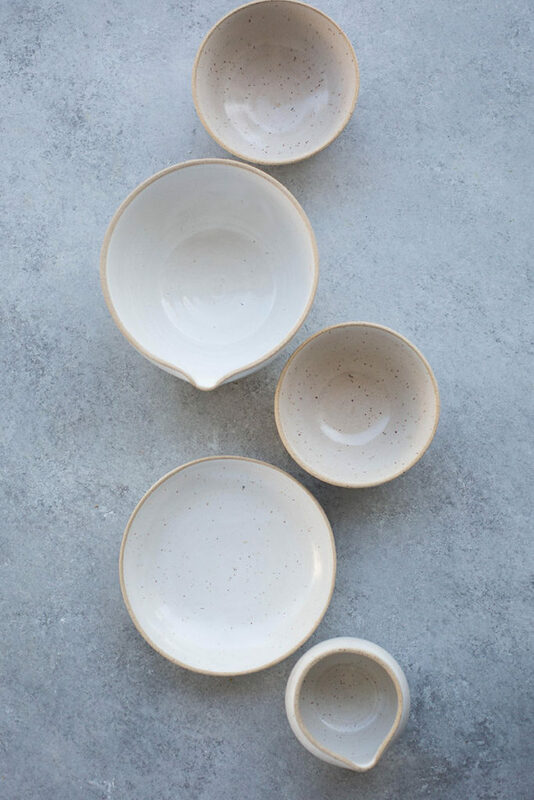 Class Description: This class will focus on the primary skills of wheel thrown pottery. We will work on the basic forms of cylinders and bowls. We will also cover other basics such as trimming and glazing. New students can expect to complete several small projects. More experienced students will be able to explore these basic forms further, and expand their scale with greater control to larger and more complex forms. Skill level: beginners – Need to know if the bowmaker is shooting on a regular basis. Make a wooden bow from a hickory blank: Bows have been used in many ways including: survival (both food, gathering, and protection), sport and meditation, and spiritual practice (Zen meditation). This class is a continuation of these ancient practices. You will learn the skills to build a long bow, how to choose the wood, the tools needed and their use, how to finish the wood, and make strings. By Sunday, the bow will be ready to shoot. You will be taught the “instinctive” shooting method. You will leave the class with a finished bow, one arrow, and enough understanding to be able to build a bow on your own. Class Description: This is an introduction to blacksmith class. Students will make nails, decorative leaves or BBQ skewers to take home. Students will be introduced to tools and basic techniques. 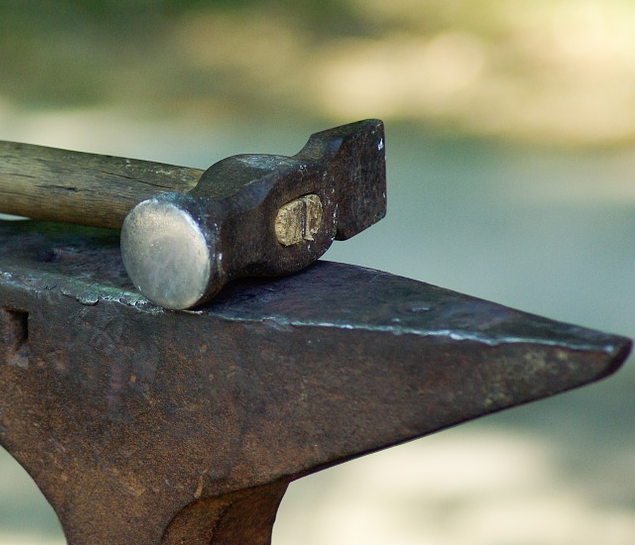 This class will provide the experience needed for more advanced upcoming classes, such as Forge Building, Hand-Forged Hardware, Tool Making, Chest Hardware, Open-Project Forge, and Traditional Joinery. Students who have already taken the class are welcome and can work on previous projects or select from a few more advanced projects. Dorset buttons are those that are made from fabric and thread. Before the first “button machine” was developed (to make shell buttons), buttons were made this way. In fact, it was the main industry of the town of Dorset (England) in the mid-1800’s, thus the name. They are a lot of fun and offer a lot of opportunity for creativity and personalization. In class we will do the straight-forward “Singleton” button and move onto the various “Crosswheel” buttons. And finally we will make a Victorian Flag Button, which is done on a wooden form. These buttons are particularly useful for those who knit sweaters as you can make the size and colors you wish, and they are relatively lightweight. 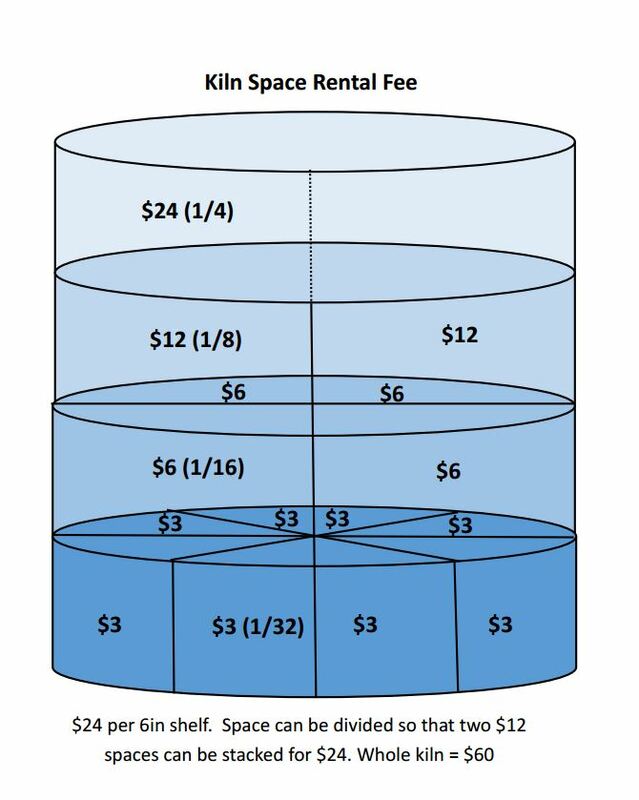 The “kit fee” of $6.00 is to be paid to the instructor the first day of class. It will include materials to make at least 5 separate buttons. In this six week class, students will learn about materials used to create glazes. 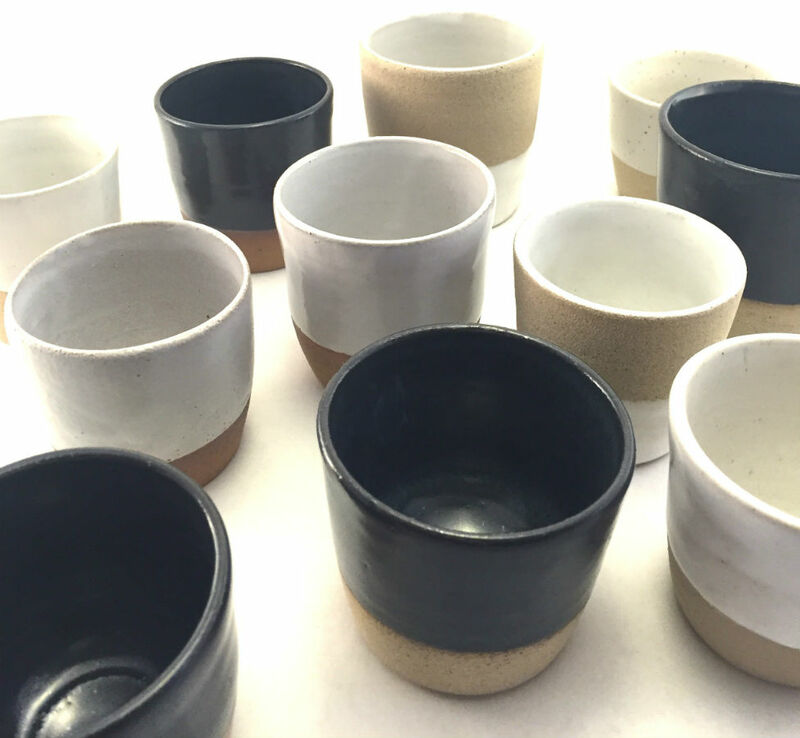 Through a series of labs they will become familiar with the constituent materials and then combine them to design our own glaze. Through this process students will be introduced to methods they can use to alter glazes to correct flaws, change color or adjust texture. All labs will be fired to Cone 6 in an oxidation atmosphere. Skills learned in this course can be applied to any firing temperature or atmosphere. Note: Student projects in this class will consist soley of test tiles for their glaze batches. 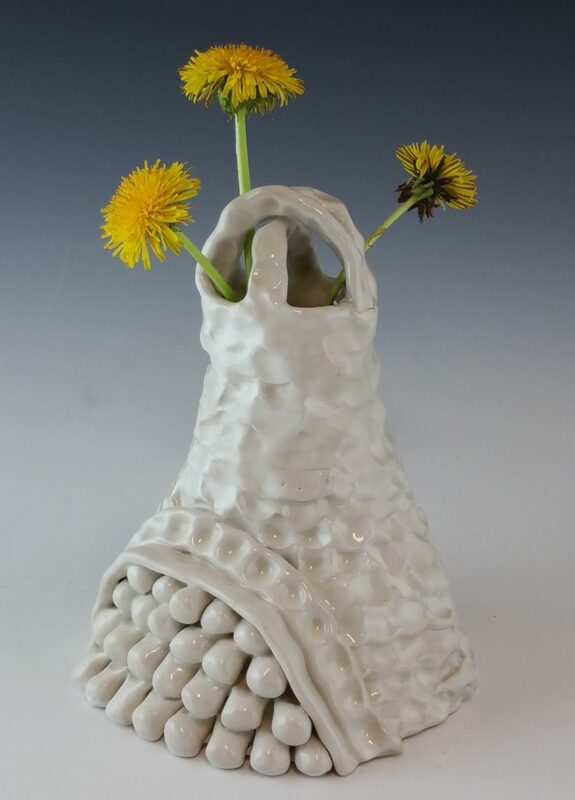 If you wish to create additional ceramics, we encourage you to register for open studio; registration for this option can be found in our class listings. Open studio hours provide a student-centered learning environment amongst individuals with a range of skill levels. Class Description: Join us on Feb. 4th and 5th from 10-4 for a fun two-day workshop where you will create a beautiful custom mirror using glass, tiles, and beads. 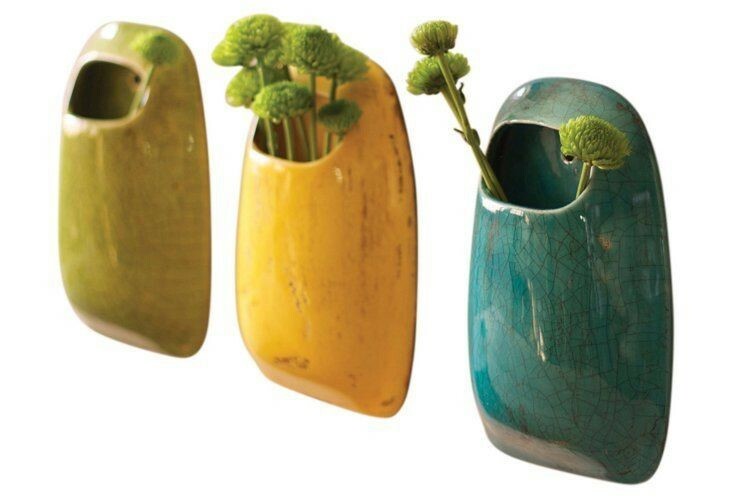 It makes a lovely gift or addition to your home. No experience is necessary. Class Description: Class will cover basic lathe operation, safety, proper use of lathe tools, tool sharpening, how to prepare wood for turning, mounting techniques, and finishing. 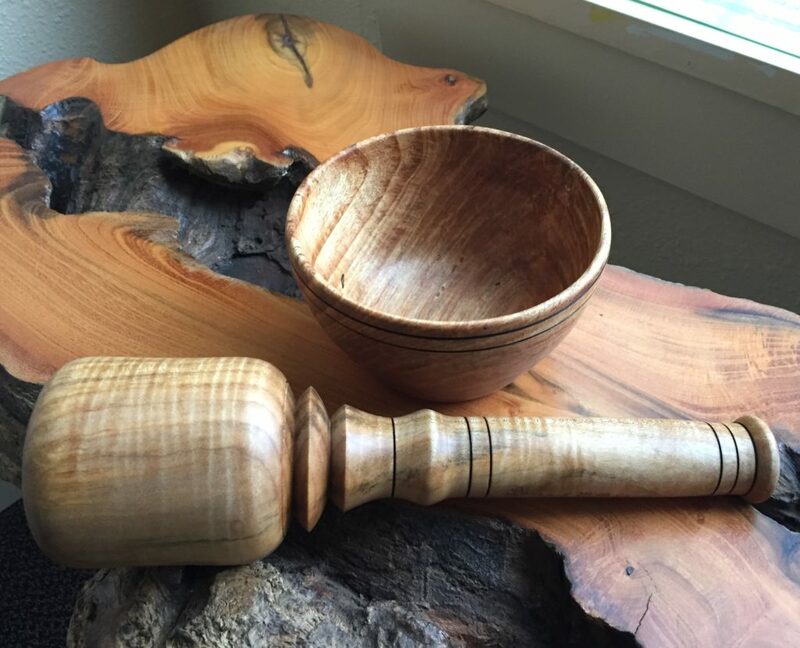 This is a hands on class where students will turn a wooden carving mallet and a small bowl, both of which they’ll take home after the class. For students interested in acquiring their own lathe or tools, the instructor will provide them with a catalog and go over different lathe options and tips on how to acquire equipment at reduced costs .The morning will be devoted to spindle turning during which students will make a wooden carving mallet. Late morning and the afternoon will be devoted to making a small bowl. All students should have completed both a mallet and bowl for them to take home. For those of you that have either never done embroidery (and would like to try it) OR would like a “refresher course”, this is the class for you! We will talk about threads, needles, fabrics, and designs – but what we will DO is a sampler of basic stitches for surface embroidery. Once you are comfortable with this group of stitches, you can do simple things – or complicated things – and anything in between! The stitches we will practice and put onto our sampler include a running stitch, double running stitch, stem (or outline) stitch, backstitch, blanket stitch, French knot, chain stitch, and detached chain stitch. With time (and group interest) we could go into further versions of the previously mentioned stitches. I’m there to teach and you’re there to tell me what you want to learn! I have always considered ribbon embroidery as “dessert” embroidery! It is fairly easy, quick, and you get a lot of results for your efforts! Done with a variety of widths of silk ribbon (4mm, 7mm) in gorgeous colors, it is just delicious! You do not need previous experience to “learn” this type of embroidery, but I would hope you have some level of comfort with a needle in hand. 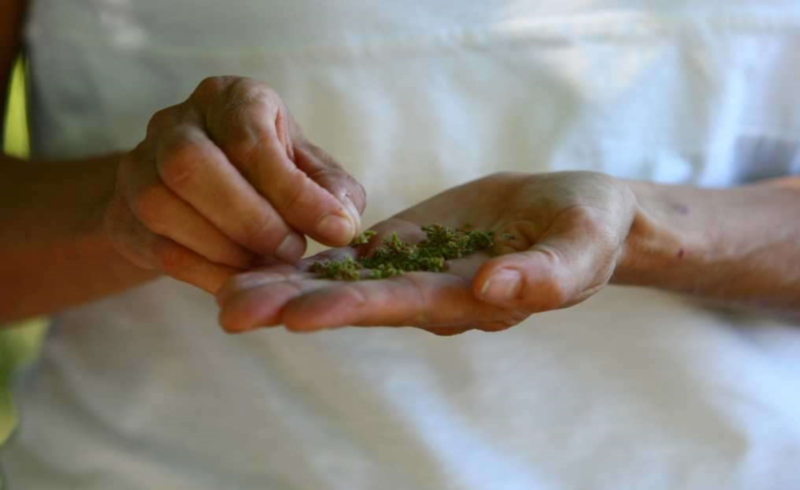 While learning how to handle the silk ribbon, we will tackle a variety of types of flowers, buds, and leaves. 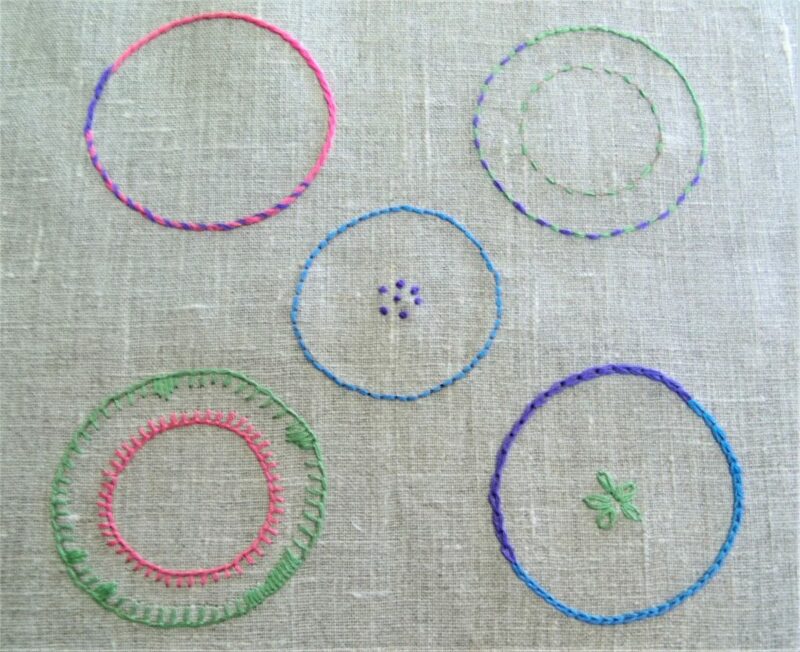 First we will try these out on a practice piece of linen, and then make a small floral motif on a piece of silk fabric. Beautiful, and no calories! *The instructor will supply the ground fabric, silk ribbons, needles, and written instructions for an additional fee of $12.00 to be paid to the instructor at the beginning of class. If you would also like to purchase a good quality 5” embroidery hoop for an additional $7.00 please contact the instructor 5 days before class at: Mbellish (at) aol (dot) com (interpret this as a normal email address, please). This subject is from the title of Richard Hugo’s book The Triggering Town. In his book, Hugo reminds poets of the importance of identifying the “where” of a poem and how rooting creativity to place can allow the imagination to grow in unexpected ways. In this workshop, we will explore ways to connect our imagination to the real and imagined landscapes of Washington. There are many ways, of course, that we can think about “place.” Perhaps specific flora and fauna conjure place for us (salmon, Arrowleaf Balsamroot, delicious huckleberries). Perhaps titles of towns or geological phenomena do the same (Anacortes, Mt. Rainier, Twisp; The Columbia, The Palouse, sharp columns of basalt, to name only a few). Perhaps people—individuals or groups—make a “where” vivid in our minds (The Legion of Boom or the Wobblies in Washington, Chief Seattle or Ken Griffey Junior, Patty Murray or Kurt Cobain, Hope Solo or Sherman Alexie, Bing Crosby or Cathy McMorris Rodgers—to name only a few). Using a controlled range of diction and some parameters regarding line and sound texture, we will work from freewriting to drafting a poem that might reveal something about where we are and where we’ve been, and perhaps such knowledge will tell us a little bit about who we are, were, and might be. Commercially printed patterns are made for some mythical perfect body and often don’t fit real people. The sloper makes a template that fits your body and your curves and makes further design a breeze. Learning draping and drafting teaches you the principles of pattern-making so you are able to make almost anything. The learner will complete three slopers using each technique and will then complete one new pattern of their own design. Draping involves working on the human form. We will use each other as the models for draping the slopers, so students may wish to recruit a friend to also take the class who they are comfortable pinching and pinning on their body. The knife is one of the oldest human tools, and a simple blade is capable of great expression which cannot be achieved by any other means. In the Scandinavian tradition, carving knives have become highly functional works of art. In this introductory class we will usewood, metal, leather, and other materials to design knives and sheathes. We will discuss blade choice, materials, function and design. Each knife will be made to fit the builder’s hand, and will reflect their personal aesthetic. Blades, leather, and other materials will be provided. This is a basic introduction to blacksmith class. Students will make nails, decorative leaves or BBQ skewers to take home. This class introduces tools, terminology and blacksmithing techniques. This class is a prerequisite for more advanced upcoming classes, such as Forge Building, Hand-Forged Hardware, Tool Making, Chest Hardware, Open-Project Forge, Traditional Joinery. This class follows the introductory class and allows students to expand on skills learned in the intro class. It is an open format where students can choose from several small projects or work on their own small project. Beginning Tatting (Patti Logan) For students with little or no previous experience with Tatting. We will be starting with the history of Tatting and how to make the only stitch using the needle method of Tatting. Students will make a tatted butterfly in class. During the second session, we will review needle Tatting, learn how to read patterns, and make note cards with simple patterns. The third and fourth sessions will build on your skills. Shuttle Tatting will be introduced and patterns will be given tailored to student’s skill level and interest. The teacher will be there every step to encourage your success. Marquetry is the art and craft of applying pieces of veneer to a structure to form a decorative pattern, design or picture. Different types of inlay, or intarsia, date back as far as the ancient Egyptians and Romans, however in the 13th and 14th centuries marquetry became widely practiced by Italians. These Italian marqueters traveled to work for European royalty, thus, during the Renaissance, the craft spread to the rest of Europe. In the 17th century a new technique emerged called “tarsia a incastro.” Here, two or three layers of veneer are cut simultaneously and assembled together alternating dark and light colors. This process was later perfected by André Charles Boulle, personal furniture maker of Louis XIV. Today this style of marquetry is referred to as the Boulle technique. This is the technique we will be teaching at Arbutus. We will be teaching on 5 marquetry donkeys, a tool designed in the 18th century. “Laminate Felt: The Marriage of wool fleece and fabric through an exploration of methods, materials, and applications.” No longer is a felt-maker limited to yardage that might be more appropriate for Arctic adventures. Recent areas of felt-making exploration have resulted in the creation of gorgeous material that drapes and flows like water. You, as a participant in this workshop, will first make several multiple samples of laminated felt fabric using a variety of underlayments—cotton gauze, silk, and alternate fiber inclusions. These samples will allow for directed further study on ones own, as well as assist in decisions for the larger project, a laminate felt scarf. No previous experience necessary. Do you know the basics of knitting, but haven’t tried a full garment project yet? Have you made as many scarves as you can give away and are ready for socks? This is the workshop for you. We will meet three times, so you will have guidance starting out, reading a pattern, turning the heel and finishing your first sock. We’ll discuss tips for matching the second, and then you’ll be on your own. Starting now makes these socks possible holiday gifts. Maybe you will be SO inspired that everyone on your list will get hand knit socks this year! Mosaics: Make a Broken Heart (Jennifer Kuhns) You don’t have to have a broken heart to attend this workshop, but there is nothing more therapeutic than taking bits and pieces and using them to make something new and whole. Instructor Jennifer Kuhns will show you how to make a heart-themed mosaic for yourself or as a gift. Students will learn basic glass-cutting and introductory mosaic skills in this workshop for beginner and intermediate mosaic artists. Bring your tools or purchase them from the instructor. Tools include Toyo cutter, breaker-grozier pliers, runner pliers, and wheeled nippers. (Beginners can get by with just the wheeled nippers for $20.) This is a fun, relaxed workshop. A grouting demonstration will take place and written instructions will be sent home, with a small container of grout to finish your project. Quilting: Make a Yo-yo Quilt (Diana Teachout) Learn how to take small circles of scrap fabric and make a yo-yo quilt top. Yo-yo quilts, popular in the 1930’s and 40’s are fun to make on the go. Because there is no machine sewing involved, this makes a good traveling project to fill the wait time in our hurry-up-and-wait lives. Rosettes are made by gathering the edges of fabric circles then joined in rows to make a quilt. They are also perfect for 3-dimensional applique. A yo-yo quilt is one of the least expensive quilts to make as it can be made entirely with scraps of fabric. Ages 12 and up. Cathedral Window Quilt Technique (Diana Teachout): This quilting class will combine machine and hand stitching to create an old fashioned and traditional design that looks difficult to construct but is quite simple and travels well. Squares are started on the sewing machine and prepped with an iron. They then become portable and can be hand stitched together at your leisure. Because you are quilting as you go, this project can be as large or small as you want. This process works well for quilts, bags and pillows of all sizes. This is a basic class with no skills required. Ages 15 and up. Scrappy Folk Dolls (Diana Teachout): Participants in workshop will construct and take home a “Scrappy Folk Art Doll”. Using a pre-made muslin body, recycled fabric, buttons, thread, found items and twigs, each doll will take on the creator’s personality and truly be one of kind. Basic sewing skills and a vivid imagination are helpful but not required. Shapenote Singing (Karen Willard): Come learn to sing using the 200+ year old American system employing shapenotes. This class will take a raw beginner and turn out at the end someone able to participate in any of the monthly shapenote community singing events going on throughout the Puget Sound region. Hollow Wood Stand-up Paddle Board (Paul Jenson): Building a Hollow Wood Stand Up Paddle Board is significantly more complex than building a foam board. It is more like building the wing of an airplane. The boards built in this class are stronger and more durable than foam boards. These boards are ideal for use on the relatively flat waters of Puget Sound or lakes. Wood boards typically feel heavier on land, but feel lighter in the water. The slightly heavier weight of a hollow wood board results in more drive and momentum. The design of the lightweight inner frame and the thin tensioned wood skins allow for an efficient energy transfer between the wave and the rider. During the workshop you will build a paddle board starting with the assembly of a supplied frame kit. After that, you will create the deck and bottom “skins” from very thin solid wood strips, fiberglass and epoxy. Next, the skins are attached and tensioned to the wood frame. Then the outer rails are built onto the board with bent plywood and cork. The rails are hand shaped and the board is given a light final sanding. At the end of the process, the board will be fiberglassed. Carve a Wooden Peg Board (Tim Nagle): We’ll make decorative Scandinavian pegboards suitable for hats, coats, pet leashes, etc. Students will sketch the design, plane the board, carve the pegs, and assemble. Boards may be finished w/ oil or milk paint. Basketry: Potato Basket (Ardith Hamilton): During this class, beginning or experienced basket makers will create a medium sized basket using several techniques. As time permits, we will explore the rationale for the choice of materials and the basic principles of constructing this type of basket and will create a basket of their own by the end of the class. Weaving techniques used in the class include: measuring and cutting weavers, basic under/over open weave, hiding ends, ending and beginning a weaver, cutting and inserting basket “ribs” and packing. Students will also learn how to access basket- making information. Introduction to Music of the Balkans/E. Europe (Marchette DuBois): From the modern sounds of Balkan Beat Box, to the more traditional harmonies of The Mystere des Voix Bulgaires, Americans have been enamored of music from Southeast Europe for some time. In recent years, there has been a surge in popularity and borrowing in American Pop and sub-culture music. Perhaps you’re intrigued by the haunting melodies or the contagious rhythms? Perhaps you’d like to find out how they work, and what their origins are? This one night survey course will briefly cover the history and cultures that mixed together to create the beautiful sounds. We will listen to and learn some examples of this music and create some of our own in this style. Though this class is in lecture format, come ready to clap and sing – and possibly learn a simple line dance or two. Stir It Up! Carving a Wooden Spoon (Julia Harrison): Thanks to its convex and concave curves, a spoon is both a useful utensil and a great way to practice the ins and outs of woodcarving. Beginners will learn the key steps applicable to any carving project: layout, roughing, shaping, and finishing. More experienced carvers will increase their efficiency, learn alternative approaches, and embellish their basic form with carved details. Students will need to bring their own small set of hand tools (shopping suggestions provided), which they will learn to maintain. We’ll work in fruit wood and seal our pieces with foodsafe finishes, so your carved spoon will be both pleasing and practical. Build a Shaker Table (Matthew Newton): In this course you will learn the foundational basic woodworking skills needed to build a simple shaker table. At the end of this four week course you will learn: basic hand and power tools, shop safety, the anatomy of wood and how it relates to your project, reading a project plan, milling lumber with hand and power tools, basic joinery, glue-ups, and simple wood finishes. At the end of this four week course you will leave with a finished project. We supply all the materials and supplies to complete your project including locally harvested FSC alder or maple lumber for your project. This course is designed for people with little to no woodworking experience; more advanced woodworkers are always welcome!!! We will meet for 3 hours a night every Tuesday for 4 weeks in June. Early American Shape-Note Singing (Tim Erikson): Learn to sing shape-note music from the Sacred Harp tunebook in a workshop taught by one of the most acclaimed singing instructors, whose students have ranged from inner-city kindergarteners to Nicole Kidman and Jude Law in the film “Cold Mountain.” The Sacred Harp tunebook, first published in 1844 in Georgia, is at the heart of one of America’s most vital homegrown musical practices. Within its pages, “Amazing Grace” meets the toe-tapping “fuging tunes” of early New England, all harmonized for four-part social singing and written in a unique and practical notation system. This workshop, addressed to absolute beginners and more experienced singers alike, begins with the basics of the human voice and group singing and includes an introduction to reading shape-note music, notes on important aspects of traditional practice and lots of full-on singing. No prior experience required. Sing Your Soul Alive! (Debby Boland Watt): Circle Singing is based on the musical influences of Bobby McFerrin & his Voicestra. Layering improvised parts that draw from call and response, vocal percussion, storytelling and free improvisation we create incredible complex pieces of a cappella music. Designed for singers of every vocal level we will unite our voices, exploring improvisation within the comfort of a safe vocal community. There’s learning in the listening, creative collaboration and self-discoveries for all. Harvesting Chickens for Meat ( Joe Roush): This class will cover the harvesting process and include a discussion on the methods for dispatching, sanitation, scalding, plucking, eviscerating and butchering. A special bonus will be getting to use the chicken processing equipment you can rent from the Thurston Conservation District. Cordage from Natural Materials (Joe Roush): In this class students will learn everything they will need to make cordage (aka string, rope, etc.,) by hand from natural materials. Cordage, ranging in size from the smallest threads used for sewing and fishing lines, up to large ropes used for ships and bridge building, all employ the same basic process to create. The process as taught in this class is universal across all human cultures and is one the most basic human skills. Like other “fiber” arts, cordage can be made from animal-derived fibers (wool, hair, etc.) as well as plant based fibers (cotton, linen, etc.). The focus of this class will be to use various plants that can be harvested locally (nettle, fireweed, dogbane, yucca, etc.). This class will include information on what plants, where to find them; how and when to harvest and store them; how to process high quality fiber from them and finally how to turn this fiber into cordage. Harvesting Rabbits for Meat (Joe Roush): This class will take place at the instructor’s property (McKenzie Rd, Olympia) and will cover the harvesting process and include a discussion on the methods for dispatching a rabbit, sanitation, skinning, eviscerating and butchering. 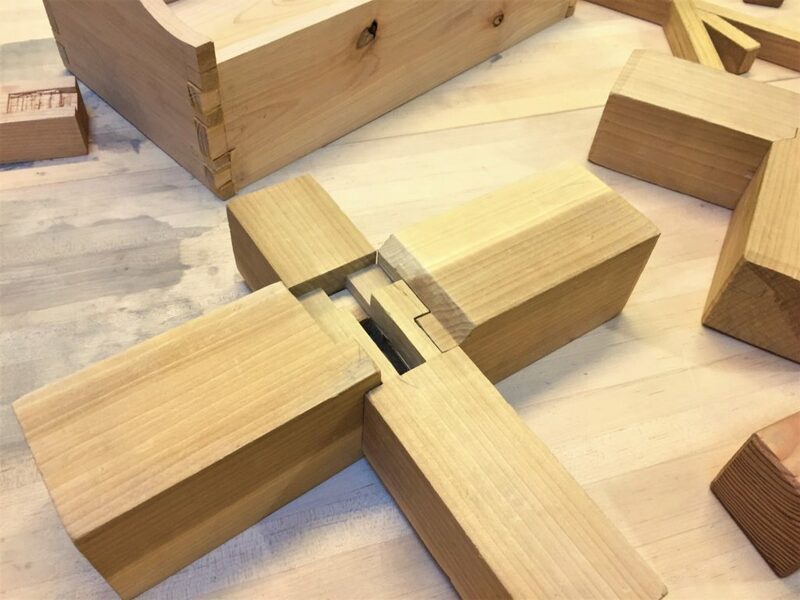 Introduction to Intermediate Woodworking – Dovetail Tool Tote (Maddie Morgan): Project: Dovetail Tool Tote – You will be designing and building a classic tool tote with local FSC Lumber. 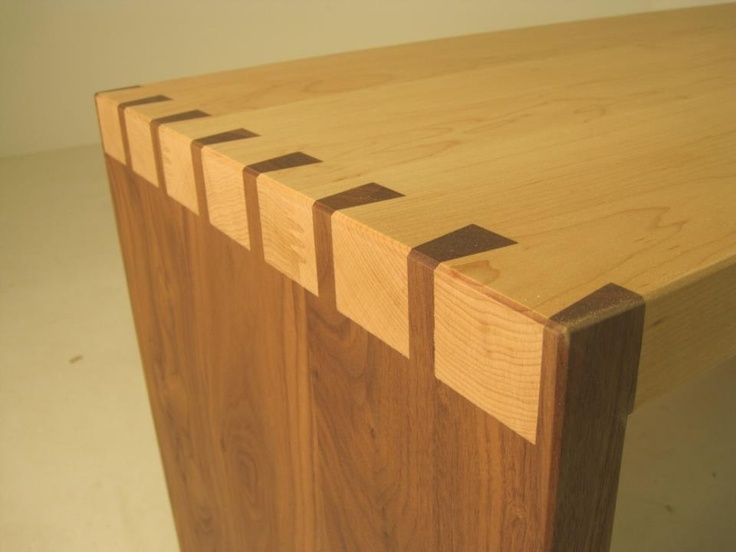 This class is a continuation of the basic woodworking skills, focusing on the use of hand tools, including the creation of hand cut dovetails. Great to carry chisels to your next class or project. Course Philosophy: There is a sense of personal satisfaction and artistic accomplishment to be gained from working creatively with wood. The aim of this course will be to provide a way to realize that intention through an understanding of the basic principles of designing in wood, the physical properties of the material, and the fundamental skills necessary to shape timber to a purpose. Learning Environment: This is a hands-on learning experience in which you will be introduced, through observation and use, to the safe and appropriate use of hand and power tools and machinery. Students should be clear, however, that the emphasis during the course will consistently be on understanding and employing traditional European and Japanese artisan handcraft skills and methods. Course Requirements: In order to fully engage the work of artisan craft it is, of course, important to acquire technical skills that can be employed in the creation of objects of beauty and usefulness. Three String Cigar Box Guitar – (Will Eikleberry): In this class you will build your own 3 string fretless cigar box guitar using basic tools and materials. In the process of building a simple instrument, we will also explore the bigger picture of how stringed instruments work, why they are built the way they are, and how you can repurpose common items to easily build them yourself. You will learn some of the different ways cigar box guitars are tuned and played so you can start making music on your own hand crafted instrument right away. We will also discuss where to source additional materials so you can continue to build more instruments once the class is completed. Market Basket – (Ardith Hamilton): This Market Basket is a medium sized, sturdy basket, slightly different from other market baskets as the bottom is woven solid. If you have no basketmaking experience you can do this, but it will be easier for you if you have made a basket before. I anticipate you will finish this basket during the class or you can leave with sufficient materials and skills to finish it at home. Make an English Shaving Horse – (Tim Nagle/Bryan Torian): The shaving horse is the “workbench” of chairmakers, coopers & wheelwrights. With a shaving horse and a drawknife, you can quickly shave chair parts, tool handles, or garden stakes from green wood. In this class, we will emphasize hand tool skills & good shop practice, and everyone will make a shaving horse to take home. Drawknife Clinic (Tim Nagle) – Class Description: The drawknife is an excellent tool for quickly shaping furniture parts. Historically, it has been used by coopers, chairmakers, and joiners. In this clinic, we will practice the use of different types of drawknives, discuss how to select a drawknife, and how to restore a drawknife to peak performance. Please bring a drawknife if you have one. Paul Silveria “Professor Banjo” Fall Tour! Event Description: Paul Silveria performs for families as the banjo-slinging, old-time singing “Professor Banjo” entertaining children with participatory old-time music that parents will enjoy too! The Professor was a family favorite for years in Portland (and throughout Oregon and Washington) before he moved to Vancouver BC in 2011. In Vancouver Paul developed a popular interactive elementary school show: “Folk Music 101” – a special program that explores what “folk music” is, and how kids and families can make it themselves! Now Paul is taking the show on the road, playing public shows up and down the 1-5 corridor. Families with pre-schoolers and school-aged kids can sing along, dance along, play rhythm instruments and even write their own song! Professor Banjo performs “Folk Music 101” as a fundraiser for the Arbutus Folk School. With Special guests The Oly Rosin Roasters and Friends! Click here for Paul’s website. Broomstick Lace Making (PeggySue King) – Class Description: Learn to make broomstick lace! This 5 hour class, spread over 2 nights will allow ample opportunity for questions and guidance through this traditional needle art. Only presenting the basic stitch, there are many possibilities once mastered! Instructor will have extra lace pins to use during class if you are not ready to invest in one! Class Description: A program of traditional folk songs, games and musical instruments of interest to young people. Many of these songs and games are passed from kid to kid, generation to generation, through oral tradition. Interaction will be encouraged, with easy song choruses—and, if you have a favorite kids song, bring it to the group. This workshop is excellent for teachers! Description: Traditional songs, rich in local history and a sense of place, present the latest news from the distant past. They help us to interpret present-day life with an understanding of the working people who built our country. Tavern songs, banjo tunes, 18th century New England hymns, sailor songs, and humorous stories about traditional singers and their songs highlight this informative program. Old Time and Celtic jam for kids, hosted by Anthea Lawrence, Jesse Partridge and Deb Collins. First hour is a slow jam, second hour is a faster jam. Adults must remain on premises. Class Description: In this class you will build your own 3 string fretless cigar box guitar using basic tools and materials. In the process of building a simple instrument, we will also explore the bigger picture of how stringed instruments work, why they are built the way they are, and how you can repurpose common items to easily build them yourself. You will learn some of the different ways cigar box guitars are tuned and played so you can start making music on your own hand crafted instrument right away. We will also discuss where to source additional materials so you can continue to build more instruments once the class is completed. Class Description: This workshop begins with three simple chord shapes, called major triad inversions. These three simple shapes will open up a startling array of possiblities once we learn how to apply them at different points on the fretboard. By the end of this workshop you’ll know three different ways to play any major or minor chord, how chords and scales relate to one another, and how to play the I-IV-V progression (the most common chord progression in music) in any key. Students of all levels welcome. Detailed handouts will be provided for everything we cover. Recording devices okay. Workshop will conclude with a question and answer period. Class Description: This workshop works to improve our knowledge of major scale positions on the guitar. We’ll begin with the open position major scales for our standard bluegrass/folk keys. Next, we’ll cover some useful picking exercises that will improve picking technique and help with scale memorization. Lastly, we’ll learn how to apply these shapes up the neck, and transpose melodies between keys, using a simple number-based approach. Recommended for students who are looking to begin or improve lead playing. Detailed handouts will be provided for everything we cover. Recording devices okay. Workshop will conclude with a question and answer period. Class Description: Always wanted to harmonize with others? Can’t find your part? This workshop is for you! We’ll demonstrate the four standard vocal parts in harmony singing, and explain how to find them using a simple number system. We’ll show you how to follow these parts through the scale, until you can visualize them, as well as hear them. Lastly, we’ll put this new knowledge to good use by learning to harmonize on some simple songs together. All examples and songs are notated using the number system introduced at the beginning of the workshop–you don’t need to read music. Recording devices okay. Class Description: Is your home interspersed with those plain off-white plastic switch-plate covers? Do they really do justice to your home décor? Do they represent you, as a creative person? Or, would it be more fitting to cover them with glass and tile to match your color theme?Join us on Feb. 28th for a fun, easy workshop where you will decorate your own switchplates. Remove the ones from your wall that you would like to embellish, make notes on the room and colors, and bring them to the class to be embellished with tile and glass. Cover up to 3 standard switchplates for the cost of the class. A grouting demonstration will be included. Class Description: This workshop is intended to provide an introduction to simple finger-picking folk guitar playing to accompany singing. It is aimed at beginners, but intermediate players who want to learn more finger picking techniques may find it useful as well to help lay the foundation for more complex technique. Participants should come away with the basics of finger picking accompaniment and a handful of songs to sing. Class Description: This is a mosaic class for the beginner level mosaic artist interested in taking mosaic beyond simple craft projects. The instructor will present the fundamentals of mosaic, defining and explaining words like “tesserae,” “andamento,” and “opus palladianum.” After an overview of materials, substrates, adhesives and tools used in mosaic for various applications, students will create a small project to take home. This is by no means a comprehensive mosaic class, which would take many sessions. But, it will introduce the basic concepts required to move forward with this medium. Tools required: Wheeled nippers for glass and tile nippers. Students can bring their own, or purchase a set from the instructor with advance notice. Class Description: This class is designed for students who have completed the beginning course and would like to expand on their blacksmithing experience and skills. Students will be able to choose between a couple of different projects (coat rack, blacksmith tongs, fireplace poker) or a project of their own, if a student has a particular idea for a project they would like to tackle they should contact the instructor to check feasibility and make sure proper tools and materials are at the school on the day of the class.